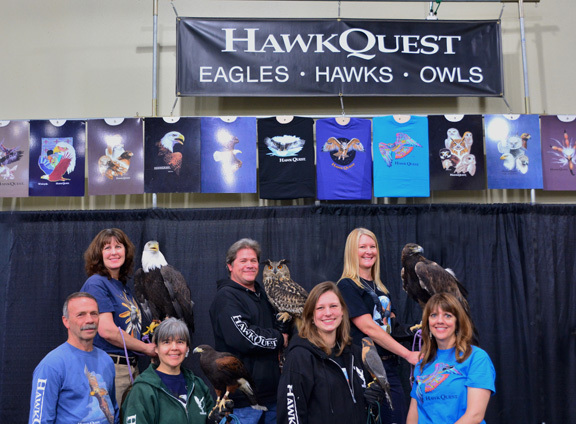 HawkQuest offers four distinct outreach programs, plus booth appearances and special events. 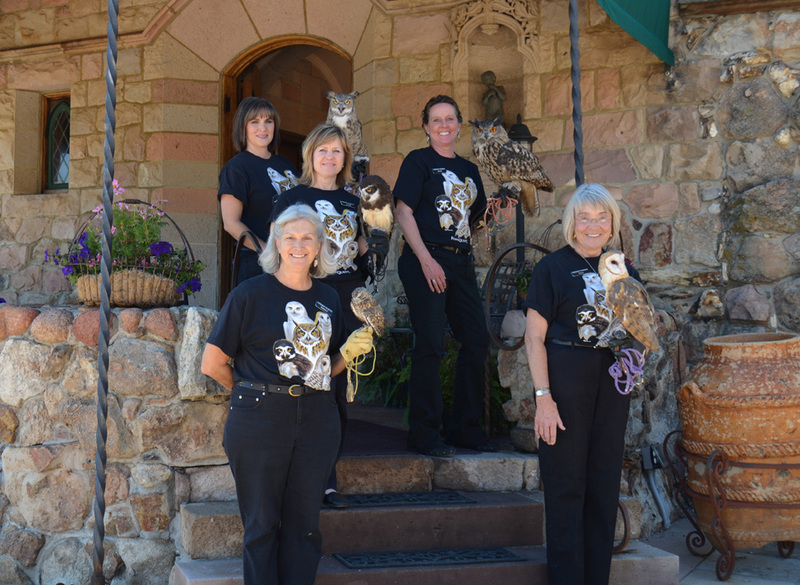 We bring live birds of prey to people of all ages, from preschool children to senior citizens. We strive to impress upon our audiences the importance of preserving ecosystems and the wildlife that depend on them. Through understanding the world around them, diverse populations will appreciate that they can influence the environment positively. We share our message with hundreds of thousands of people throughout the United States each year - click here to view HawkQuest Program Statistics. This one-hour program, which is tailored to the age and experience of the audience, includes a Bald or a Golden eagle, an owl, a falcon, and features a free-flying hawk. Student learn about the importance of different raptor species, their specially-adapted tools, and their role in our ecosystems. 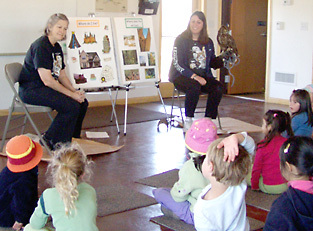 In this participatory program, students are able to observe the unique tools of the owl, the incredible talons and six-foot wingspan of the eagle, the aerodynamic features of the falcon, and the precision flying of the hawk. This one-hour program brings three live owls into an intimate classroom setting and gives students the opportunity to study the birds up close. 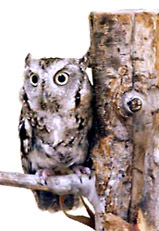 Students, using Owl Discovery Kits, are led through an imaginary mouse hunt with guided discussions, visuals, experiments, and hands-on demonstrations. HOOT enables young people to understand the necessary role of the owl as predator in its natural habitat. This innovative program takes students on a trip around the world, featuring owls from six continents. 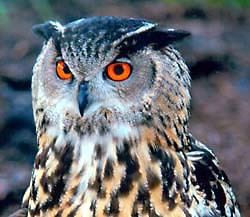 The one-hour program focuses on the tools used by owls worldwide and their importance to global ecosystems by controlling the pest animals that threaten our food supply. HawkQuest extends its educational offerings outside the auditorium, lecture hall, and field through booth appearances and special events. 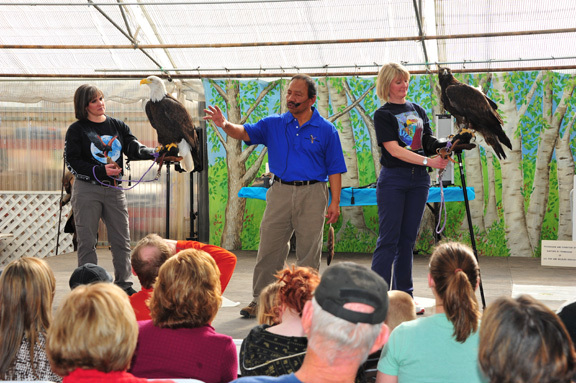 From our booth, we lecture about birds of prey on an ongoing basis, bringing our message to hundreds of thousands of people annually. HawkQuest's "feathered teachers" (eagles, hawks, owls and falcons) can be observed from just a few feet away. Look for our booth at Native American celebrations, Renaissance festivals, educational symposia, crafts fairs, and other events across the United States. 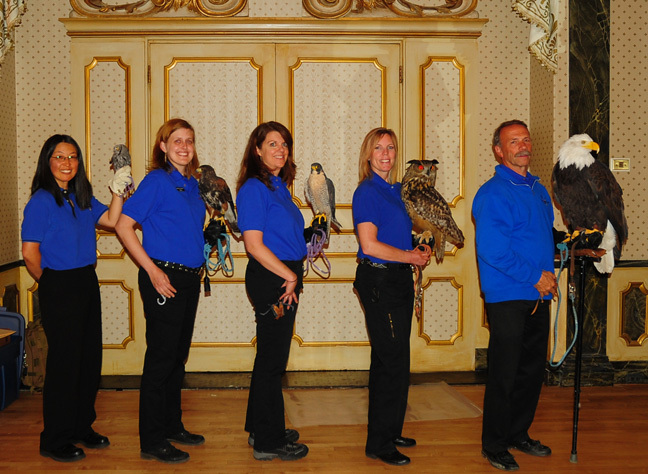 HawkQuest also participates in many special events which can be tailored to individual needs. These include photo shoots, corporate functions, Eagle Courts of Honor for Boy Scouts, grand openings, and school events with raptor mascots. Special appearances can be tailored to suit a particular need.